McALLEN — A Pharr man and the brother of a fugitive was sentenced for lying to federal authorities. U.S. District Judge Randy Crane Monday sentenced Daniel Betancourt, 20, to a year in prison for lying to federal agents about a 2015 investigation into his older brother and two other men. Daniel’s older brother, Luis Gerardo Betancourt, 21, remains a fugitive months after Crane sentenced him in absentia to life in prison. This was in connection with an investigation that revealed a hostage-taking ring, according to court records. 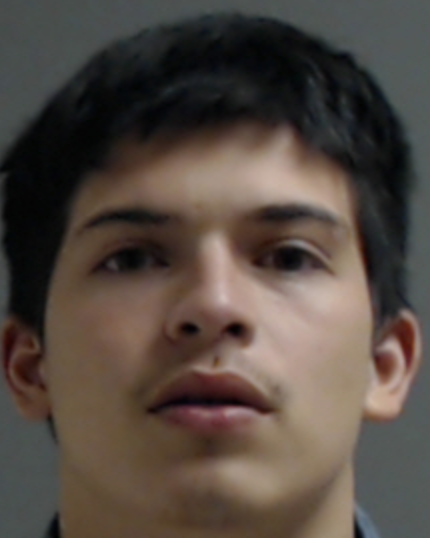 Luis was last seen inside Crane’s courtroom March 7, when he appeared alongside his attorney for the jury selection phase of his trial, which was set to begin two weeks later. When Luis failed to appear for the first day of the trial, Crane issued a bench warrant for his arrest. That same day, March 21, an official with the U.S. Marshals Service told the court that they had been in contact with him and had notified him of his required appearance at the trial. During the trial, the government called more than 20 witnesses, including Luis’ co-defendants — Luis Enrique Perez-Talavera and Jonathan Carlos Valdez-Harris. Jurors found the Pharr man guilty of one count of hostage taking and one count of bringing in and harboring aliens after only five days of testimony and three hours of deliberations. The trial was related to a December 2015 incident where Luis threatened to harm a woman’s child if she didn’t come up with money for her transport into the country and back to her, court records show. According to the criminal complaint, Luis contacted the unidentified Mexican woman Dec. 1, 2015 and stated that her daughter and a friend were transported to the U.S., and that the woman would need to deposit the remaining fees for her daughter and the three others being transported. The communication between the two took place between Dec. 1 and 4. “(Luis) told (the woman) to do whatever she needed to do in order to get the money and if (she) did not they would kill (her) daughter,” the complaint states, which went on to detail that Luis contacted the woman two days later and demanded $18,000 lest he would sell her 8-year-old daughter for that amount. Four days after the woman’s ordeal begun, federal agents located and arrested Luis at his home in the 7600 block of Blanca Road in Pharr, the complaint states. Perez-Talavera and Valdez-Harris pleaded guilty to one count each of bringing in and harboring last March. They were sentenced to 20 years and 10 years, respectively, for their roles in the plot, court records show. Daniel’s charge is related to the hostage-taking investigation and his subsequent interview with federal agents. It was also in March when FBI agents interviewed Daniel about the hostage-taking incident in December 2015 at the Hidalgo port of entry. “Daniel made multiple materially false statements and representations to include his lack of any knowledge and involvement in regards to the planning of the hostage taking, and the relationship and the roles of (Perez-Talvera), (Luis) and (Valdez-Harris,” the complaint reads. Daniel also denied being present at any planning for the hostage-taking, the record states. As part of this sentence, Daniel will serve an additional three years of supervised release and participate in a mental health treatment program and a drug aftercare program for drug addiction, the court notes state. Daniel was remanded to the custody of the U.S. Marshals.